Cancer Early Detection in 2012: Spirit of the Holidays! We’re so grateful for all of the contributions by scientists, donors, and everyone who participated in the work of cancer early detection in 2012! We sincerely thank our donors, volunteers, scientists, and clinicians for their hard work and support- we couldn’t do it without you! Watch the slideshow below for a look back at all of Canary’s successes and milestones in 2012. Early detection of cancer research represents the heart and soul of our work. Last week, Stanford Cancer Institute bestowed two 2012 Spirit of Hope Awards upon Canary Foundation and on our founder, Don Listwin. We are so honored to be the recipient of this prestigious award, and are grateful for the opportunity to be publicly recognized for the work we do in the field of early detection. Our work is focused on funding scientific discovery into affordable early detection systems such as blood tests and ultrasound imaging in the fields of ovarian, pancreatic, prostate, breast and lung cancer. Early cancer detection results of Canary Foundation led to the honor of being named Charity of the Week by The Week magazine. Canary Foundation early cancer detection research focuses on lung, prostate, pancreatic, breast and ovarian early detection methodologies. The Week magazine is a domestic and international magazine discussing the latest developments in business, health, science, technology, the arts, culture, consumer products and travel. “Canary Foundation is the world’s first nonprofit dedicated entirely to the development of testes for early cancer detection. Founded in 2004 by Don Listwin, a successful technology executive who lost his mother to misdiagnosed ovarian cancer, Canary Foundation funds collaborative research by teams of cancer experts, with the aim of one day being able to identify early-stage cancer through a simple blood test. Thank you so much to The Week Magazine for featuring Canary Foundation as a charity to watch! 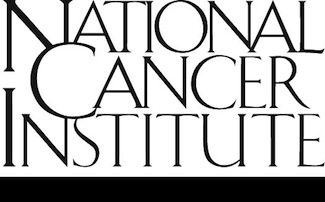 The National Cancer Institute, under the National Institute of Health, plays a crucial role in cancer research throughout the United States. As the nation’s “investment in cancer,” NCI has quite a bit of ground to cover. NCI’s annual budget is approximately $5 billion. In 2010, 7% of NCI’s budget was allocated to the Division of Cancer Prevention. The Early Detection Research Group is one of ten groups in this division, and the Early Detection Research Network (EDRN) is one of the division’s six major projects. This means that early detection research is receiving a fraction of that 7% budget. Although early detection may not be their top focus, NCI has moved to make a more substantial investment in early detection research and technology, and is making headway in this area. Additionally, NCI has collaborated with Canary Foundation on early detection projects. NCI started EDRN to bring together multiple institutions working on early detection research. Early detection has many facets and therefore requires the work of leaders from many fields. By working together, different institutions can more effectively facilitate advances in early detection science and translate these advances into clinical practice. Canary Foundation operates in this same way, organizing multi-institutional studies and moving studies towards clinical practice. In keeping with Canary Foundation’s two-step process, the Canary Early Cancer Detection for Lung Cancer program’s goal is to develop a combined blood test and imaging approach to detect lethal lung cancer early, because early detection and treatment greatly enhance survival. The Canary Lung team is tackling the under-recognized area of lung cancer in non-smokers, seeking to understand why it develops and what the disease characteristics are in order to create screening tools for that disease. CT screening* can reduce mortality from lung cancer, shown recently with the results of the National Lung Screening Trial, or NLST. 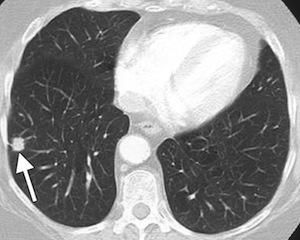 Currently, when patients undergo a CT scan, it’s possible to see a problem spot, such as a lung nodule, but difficult to determine whether or not it is cancer. This presents a real opportunity to enhance the specificity of current imaging technology so it will be possible to determine if a spot isn’t or is cancer, and if so, whether it shows lethal characteristics. Preliminary tests to improve the CT scan through molecular imaging have been very promising. A novel modified scan developed by Canary team members at Stanford uses new technologies to light up tumors so that their mass, and areas where they have spread, are clearly distinguishable in lung cancer patients. The technology will be tested for its specificity for early lung cancer (vs. benign conditions, such as scar tissue) in patients with lung nodules. A blood biomarker test, used in combination with imaging, may also provide the specificity needed for accurate lung cancer screening. In line with Canary’s innovative and collaborative model, the Canary lung team has worked closely with five other organizations on a project to develop lung cancer biomarkers funded jointly by the National Cancer Institute (NCI). The most promising biomarkers from a comparison study in Vancouver are being selected. The next step is to conduct a validation study of these biomarkers on carefully collected samples from the PLCO (Prostate, Lung, Colorectal, Ovarian) Screening Trial, a large randomized trial designed and sponsored by the NCI, to determine the effects of screening on cancer-related mortality. If these biomarkers perform well on the PLCO samples, they will proceed through progressively more rigorous validation studies. Ultimately, blood biomarkers will be tested in combination with imaging in people currently getting screened for lung cancer, to validate the best approach for detecting lung cancer early and potentially saving lives. *A computed tomography (CT) scan uses X-rays to make detailed pictures of structures inside the body. 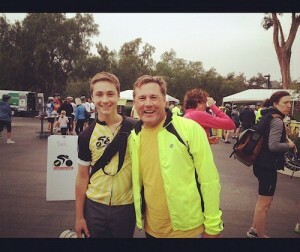 On September 29, 500 riders convened at VMware in Palo Alto to set off on the Canary Challenge ride. All together, we raised $514,000 to benefit the Stanford Cancer Institute and the Canary Center at Stanford. This year’s numbers far surpassed last year’s ride of 344 riders and $300,000 raised. Take note: we have even bigger plans for next year! Join us on Septeber 28, 2013 for the Canary Challenge 2013. In 2013, we’re looking forward to bringing 1,000 riders in to raise $1M and we’ve added a fun family 5K route for cyclists of all ages. Founders of nonprofit organizations are motivated to make a big difference where they see a problem in society. 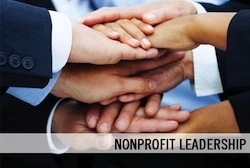 They come to understand there is a great need that only a nonprofit can fill. They allocate resources into starting the nonprofit and to developing a community that will help further the mission and resolve the problem. Canary Foundation was conceived by founder Don Listwin, who gives his all to generating affordable and easy early cancer detection biomarkers and imaging tools as part of Canary Foundation’s mission. Dr. Mark Stolowitz, Director of the Proteomics Core Facility, tells us about Mass Spectrometers and how they’re used for cancer early detection research. Currently, a woman living in the U.S. has a 12.1% risk of being diagnosed with breast cancer — that’s 1 out of 8 women. Think about 8 women you know; mothers, sisters, friends, coworkers – that’s how close this disease is to each of us. It’s a disease that requires our attention, resources, and brightest minds to work collaboratively to beat it. Earlier this year, we announced another bold step in our mission: the launch of the Canary Breast Cancer Program. It was a great opportunity to have fun while making a real difference by fundraising for cancer early detection research. The funds raised directly affect the ability of the Stanford Cancer Institute to fund research and innovative clinical programs. If you missed the event, check out professional photos from the ride, as well as images from the Canary social media community. Save the date for Canary Challenge 2013, to be held on September 28. It’s never too early to start building your teams and start training!